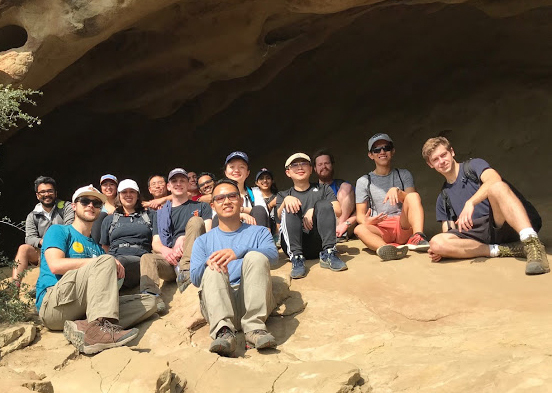 Fostering community and creating a friendly and engaging atmosphere are part of the mission of the Chemical Engineering Graduate Student Association (ChE GSA) at UC Santa Barbara. Open lines of communication are also enhanced between different class years and research groups, students, and faculty. These avenues are led by the efforts of a group of dedicated members. As part of the GSA, Chialastri and fellow co-president, Julia Fisher, Squires Lab, are involved with facilitating communication between all ChE GSA officials, members, faculty, and staff. A new charter drawn last year states that the president assumes the responsibility to serve as a voice of ChE grad students for departmental and campus wide concerns, prepares and executes GSA and GSA executive board meetings, and ensures the continual operation of the GSA. Typically, as new roles arise, Chialastri and Fisher will split tasks based on availability and interest. ChE GSA provides opportunities for graduate students to showcase their research and expand their social network. The organization provides varied opportunities to present student work, volunteer in the community, and interact socially with peers in a safe environment. Events are suggested and created by students, and regular surveys are conducted for interest and feedback to ensure GSA hosts events that ChE graduate students want to attend. Both students are on track to graduate in 2021, and eager to continue learning new techniques and advances in chemical engineering. “I am advised by Professor Squires, and currently focused on the mechanical properties and morphology of lung surfactant monolayers in response to an array of conditions hypothesized to play a role in lung surfactant inactivation,” said Fisher, who plans to work in industry after graduation. 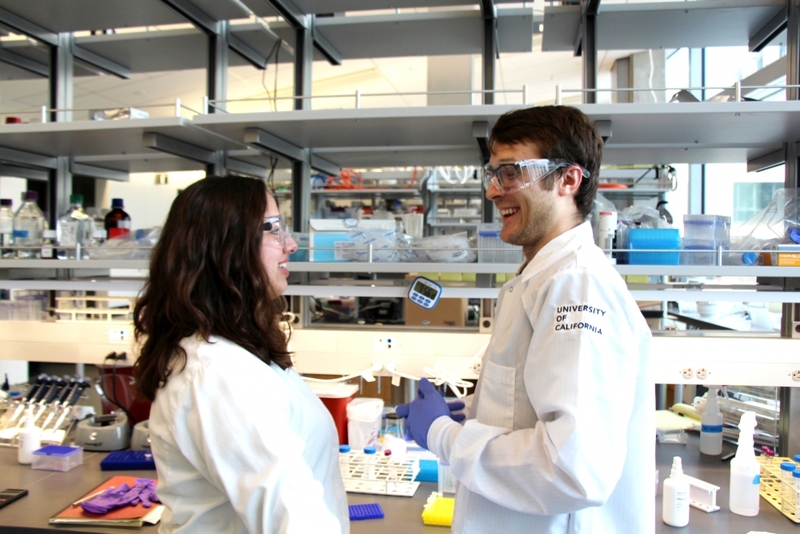 Chialastri’s research work with the Dey Lab develops methods to quantify epigenetic marks from single-cells using DNA sequencing techniques. “Through these novel approaches, I am studying how variability in the epigenome regulates gene expression heterogeneity and cell fate decisions,” he said. Fisher, who enjoys baking and making candy away from the lab, advises current and future students to avoid falling into a routine of focusing on negatives, failed experiments and plans gone awry, when reflecting on their work. “My advice is to always dedicate some time to reflect on positives, things that went well and what you’ve learned from the challenges you encountered,” said Fisher, who also enjoys playing softball outside of her research. Chialastri finds that video games, craft beer, and walks with his girlfriend, provide needed breaks from the challenging research discovery process that students face during the pursuit of a PhD. – Melissa Walker is the Communications Coordinator for the Department of Chemical Engineering. Lab photography by Melissa Walker. Hiking photo supplied by ChE GSA.